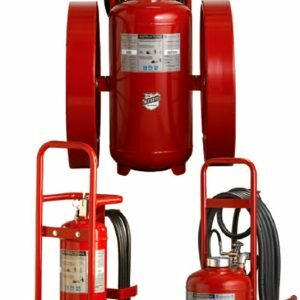 Buckeye Fire Equipment has been an international leader in the development and manufacturing of reliable fire protection products for over four decades. Based near Charlotte, NC, they have earned a strong reputation for quality, reliability, and value. All of their products are manufactured and tested in the U.S. All of their products undergo rigorous testing, both in-house and by third-party testing organizations such as Underwriters Laboratories, Factory Mutual and the U.S. Government. Federal Resources is proud to offer Buckeye’s wheeled dry chemical fire extinguisher, a powerful option for military organizations, chemical management companies, and lab testing facilities. Our Buckeye Wheeled Dry Chemical extinguisher is available in a couple of different options depending on your needs. It comes in three sizes, with three different choices for an agent, as well as three different operational design configurations. These units provide a flexible dry chemical solution that is practical for field and base operations. Easily maneuvered over rough terrain and available with optional tow loops, they can even be pulled behind a vehicle. 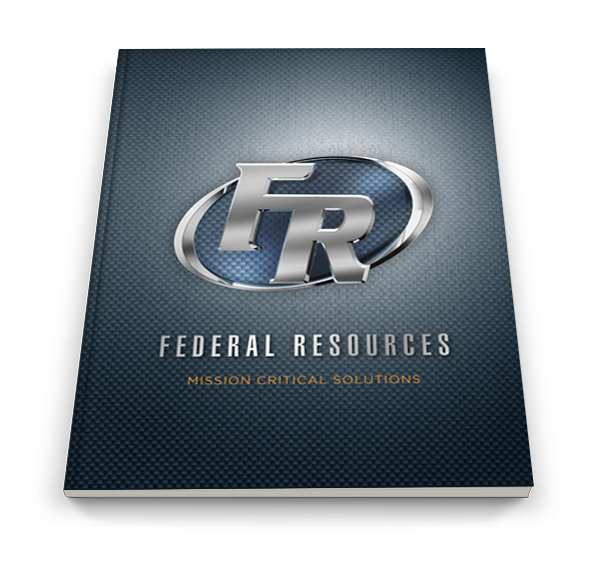 Contact Federal Resources to learn more about Buckeye products. We provide training and support for the products we sell.